Hey, history-of-fashion nerds: Amazon UK has just booked an eight-part period drama about French haute couture in the period immediately following World War II. Don’t get between a costume designer and any chance at working on this project, lest you be torn into a million pieces. This could go either way. They’ve got plenty of rich material to work with—postwar France saw the rise of Dior and the New Look, as Paris determinedly attempted to put the last decade behind them. (And when he first announced the project on Facebook back in July, Goldstick referred to his fictional house as “Dior-like.”) But the project could get very soapy very fast, and this isn’t a sudsy chapter in history. Production starts in January. That gives you plenty of time to place your bets on whether they’ll get into Coco Chanel’s shady, collaborationist wartime dealings with the Nazis! 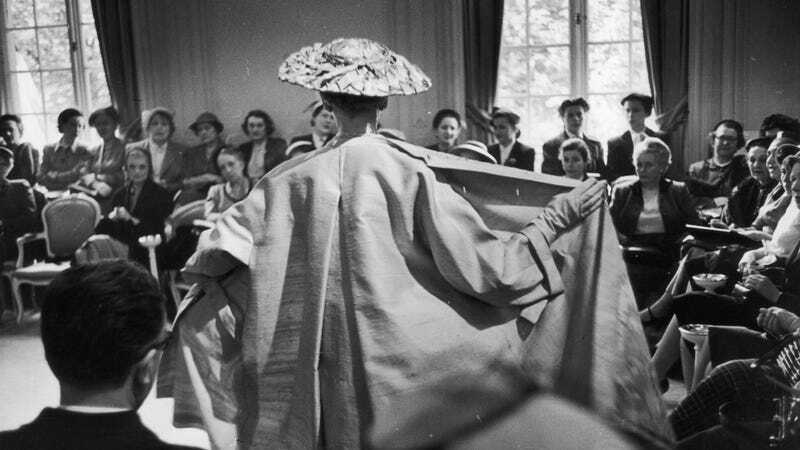 Photo of 1952 Dior show via Getty.